Welcome to the UIT information center. The UIT is a 38-cm Ritchey-Chretien telescope equipped for ultraviolet filter and grating imagery over a 40 arcminute field of view. It contains two detector systems: one in the far UV and one in the near UV. Images are recorded on 70 mm film. Here is a list of UIT-related papers. Information relating to the first flight of UIT. 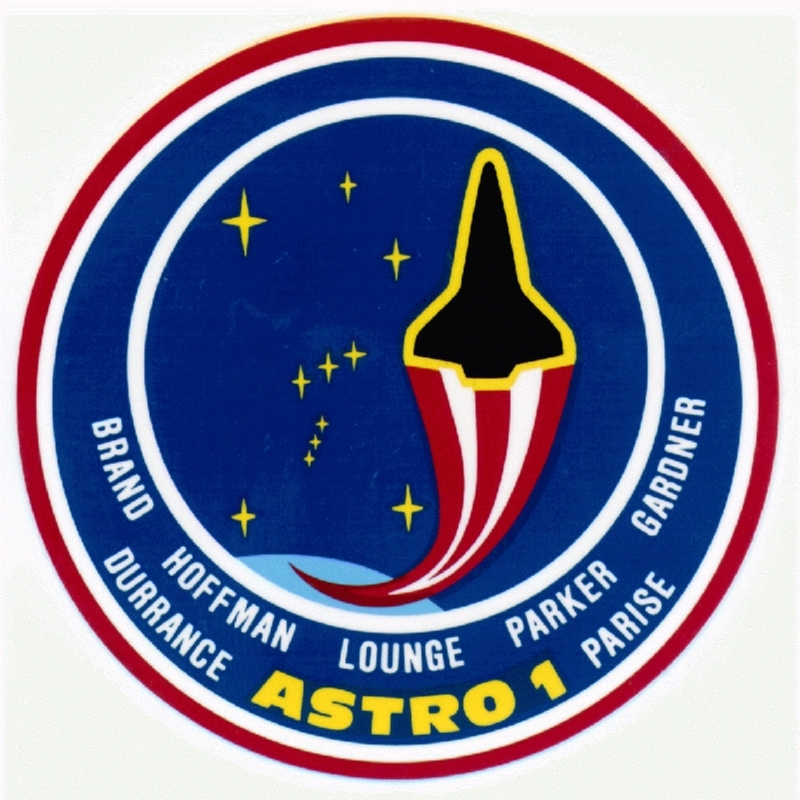 Astro-1 UIT Gallery: Excerpts from the "Beyond the Blue" slide set and other images from the Astro-1 mission. The UIT flew onboard the Space Shuttle Columbia as part of the Astro 1 payload. This payload consisted of three co-mounted ultraviolet instruments [the UIT, the Hopkins Ultraviolet Telescope (HUT), and the Wisconsin Ultraviolet Photo-Polarimeter Experiment (WUPPE)] plus one x-ray telescope [the Broadband X-Ray Telescope (BBXRT)] on a separate pointing system. The Astro 1 flight launched on 2 Dec 1990 and landed on 10 Dec 1990. During this mission, 66 astronomical targets were observed, comprising of 4 solar system targets, 29 galactic fields, 8 Local Group galaxy fields, 16 other galaxy fields, and 9 deep fields. A total of 361 near UV and 460 far UV frames were exposed. Information relating to the second flight of UIT. 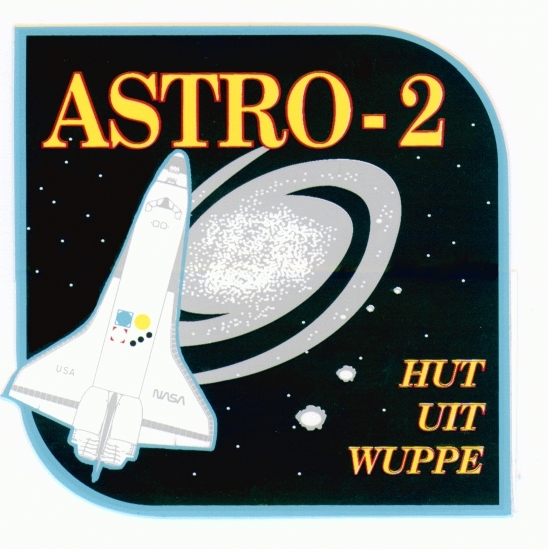 Astro-2 UIT Release Pictures: pictures and captions released to the media. The UIT flew onboard the Space Shuttle Endeavor as part of the Astro 2 payload. This payload consisted of three co-mounted ultraviolet instruments: the UIT, the Hopkins Ultraviolet Telescope ( HUT), and the Wisconsin Ultraviolet Photo-Polarimeter Experiment ( WUPPE). The Astro 2 flight launched on 2 March 1995 from Kennedy Space Center and landed on 18 March 1995 at Edwards Air Force Base. The UIT data from both Astro missions are freely available. Those interested in obtaining UIT data should check out the Multi Mission Archive at Space Telescope (MAST) .